For the ultimate Caribbean vacation, Anguilla is the place! The small, British territory is located on the northernmost part of the Leeward island chain, and boasts 33 incredible miles of world-class beaches. Anguilla is the perfect spot for relaxation due to its laidback, stress-free lifestyle. Like most vacation islands in the Caribbean, Anguilla has a rich and colorful cultural heritage. The weather is always perfect in Anguilla. The warm tropical climate is constantly cooled by trade winds from the Northern Hemisphere, making every day comfortable enough for exploring the sights and sounds of the island. Peak tourist season is from mid-December to mid-April. These are the perfect months for basking on the tropical beaches of the Caribbean paradise. From March to December, guests can enjoy the many local festivals such as the famous Moonsplash Music Festival in March or the Tranquility Jazz Festival in November. There are so many interesting places to see in Anguilla, starting with the island’s enchanting 33-mile coastline. Rendezvous Bay is probably the best beach on the island’s west coast. The water is calm, warm and crystal clear. You can simply laze away under the sun and enjoy the serene environment and natural wonders of the island’s beaches. If you are looking for more activities, the area offers snorkeling, wind surfing, kite boarding, and sailing, to name a few. For those seeking a unique experience, go horseback riding along the shores at the Sea Side Stables to experience ultimate beachside horseback riding. If you are fond of snorkeling, check out Maundays Bay! The bay has powdery sand beaches, and is home to the world-famous Cap Juluca resort. During windy days, Maundays Bay provides exciting water sport opportunities like windsurfing and sailing. Apart from the beaches, Anguilla also has a unique array of historical landmarks and heritage sites. Located on the East End and just a stone’s throw away from the Anguilla Bird Sanctuary, The Heritage Collection Museum is one of the best on the island. The museum showcases the area’s history- from its Indian origins to present-day souvenir collections. 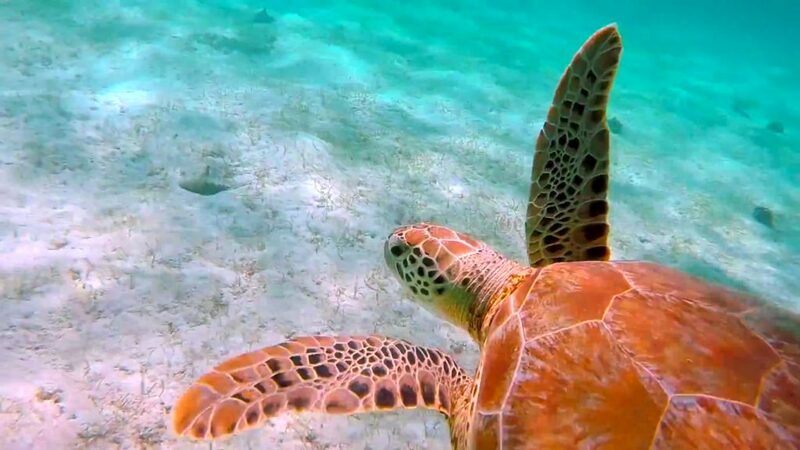 If you want to experience a touch of eco-tourism, don’t miss the turtle nesting grounds. Gaze at the wonderful turtle hatchlings on the beaches of Mead Bay, Captain Bay and Limestone Bay from April to November. Other places to explore in Anguilla include The Valley, Anguilla’s capital and best location to take in colonial architecture, and Sandy Ground Beach and Village, an eclectic blend of beach, hills and history. Don’t forget the Prickly Pear Cays- a tiny pair of uninhabited islands. While the western cay is rocky coral and shrubs, the eastern cay sports a beautiful, serene beach perfect for snorkeling and viewing coral. Hiking is another fun adventure when in Anguilla. Despite the island’s small size, many areas are remote and uninhabited. Take a leisurely stroll along the entire coastline, or hike to unexplored places and discover tropical flowers and the natural beauty of the island. Considered the cuisine capital of the Caribbean, Anguilla will give you a one-of-kind gastronomic experience! There are plenty of options to satisfy your palate. Dine in a gourmet eatery or go for a romantic bite in one of the beachside chic restaurants. Bistros, bars and fine dining restaurants are aplenty in Anguilla. It goes without saying that Anguilla also has a vibrant and exciting nightlife. After tasting international and local cuisines, party all night to the beat of reggae music while having the most exquisite wines found only in Anguilla. Some of the most popular nightlife attractions in Anguilla include Barrel Stay, Blanchard’s, Blue Cup Juluca, and Malliouhana, which houses more than 25,000 bottles of wine. Vacation rentals provide all of the comforts you require! 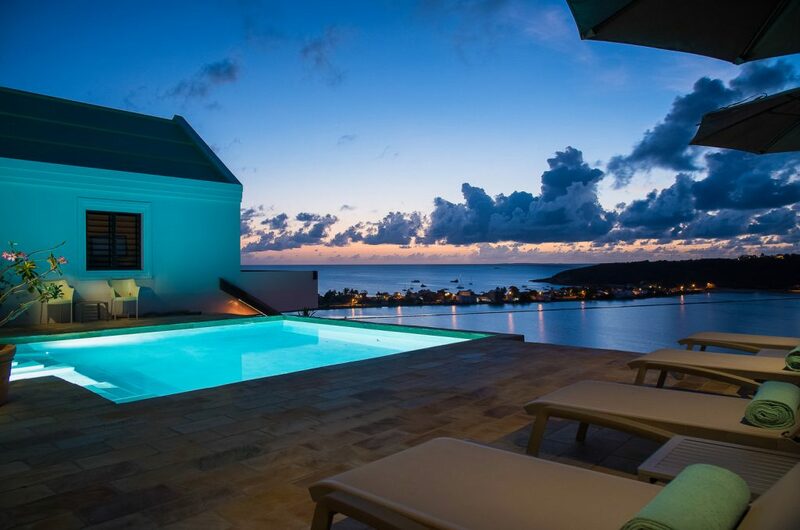 For a stylish yet affordable Anguilla villa, stay at Ambia. Centrally located and overlooking Sandy Ground, the villa is a quick trip away from the island’s miles of exquisite beaches. It is also perfectly situated close to many of the finest places to eat. The villa itself has a spacious open floor plan along with four large bedrooms. It also provides guests with a pool and gorgeous views as well as other amenities such as a washer and dryer, cable, internet, air conditioning, and even a hammock for relaxing.